From "Bobby McGee" to A Star Is Born, Kris Kristofferson has worn many hats throughout his eclectic career. The term "Renaissance man" doesn't get thrown around all that often anymore, but certainly it applies to Kris Kristofferson. He's had as wide and varied a career as an artist can have: He's a singer, a songwriter and an actor, both a respected solo artist and a member of the beloved country supergroup the Highwaymen. As Kristofferson enters his fifth decade of writing and performing — and in advance of his upcoming show at the Fox — we've rounded up a few things that you should know about one of the most prolific singer-songwriters of his generation. He was a rugby star and a Rhodes scholar. Kristofferson played on Pomona College's rugby team, and was even profiled in Sports Illustrated's "Faces in the Crowd" feature in 1958, which noted that he was also a long-distance runner, a boxer and the sports editor of the college newspaper. He'd later attend Oxford University on a prestigious Rhodes scholarship, graduating with a degree in English literature. Oxford was also where he began writing songs in earnest. He cut his teeth as a songwriter for other artists. While working as a custodian at the studios of Columbia Records, Kristofferson gave a demo tape to country star June Carter, in hopes that she'd pass it along to her husband Johnny Cash. (A famous show-biz story posits that Kristofferson, hoping to get the country legend's attention, later landed a helicopter on Cash's front lawn. He wasn't home.) Cash would eventually record Kristofferson's "Sunday Mornin' Comin' Down," and it quickly became one of his signature songs. The most notable track in Kristofferson's ouvre is "Me and Bobby McGee," which was a hit for Roger Miller in 1969. It truly became iconic, though, when Janis Joplin's recording became a posthumous No. 1 hit, and it's arguably the most famous interpretation of any Kristofferson composition. 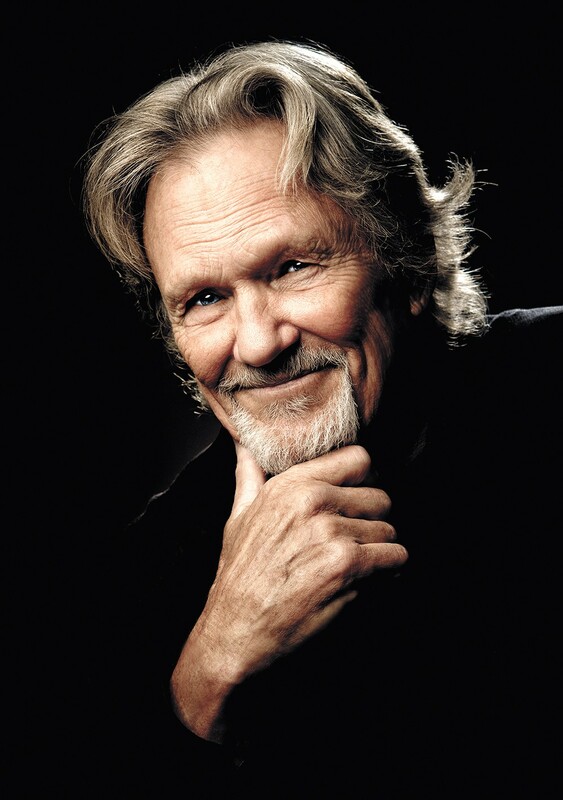 Gladys Knight, Ray Price, Jerry Lee Lewis and Waylon Jennings have all covered Kristofferson's work, and his songs "For the Good Times," "One Day at a Time," "Please Don't Tell Me How the Story Ends" and "Help Me Make It Through the Night" were smash hits for others. He's as prolific an actor as a musician. Kristofferson's had a seriously impressive film career, working since the '70s with great filmmakers like Martin Scorsese, Sam Peckinpah, John Sayles, Guillermo del Toro and Richard Linklater. He received an Oscar nomination for his music in the 1984 film Songwriter, in which he acted alongside his fellow Highwayman Willie Nelson. He's also the star of two Pacific Northwest-filmed features: Heaven's Gate, Michael Cimino's famously embattled 1980 epic that was partially shot in Wallace, and Alan Rudolph's underrated neo-noir Trouble in Mind (1985), which was filmed in Seattle and features Keith Carradine, Genevieve Bujold and an out-of-drag Divine. He's vicariously responsible for one of 2018's biggest hits. The original print version of this article was headlined "Renaissance Man"